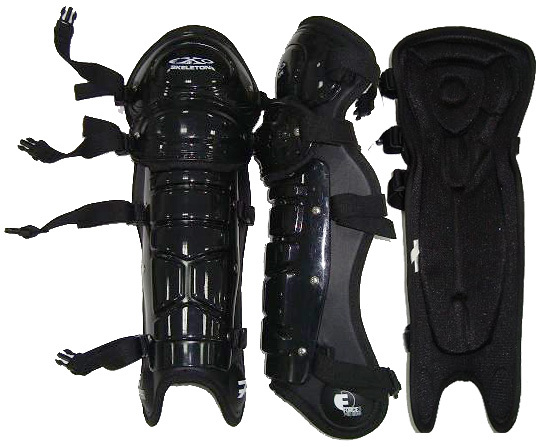 These incredible high quality shin guards are made of premium materials including High Impact, Military-Grade Force Disbursing Aramid Fiber, stainless steel rivets, and high-impact slimline composite buckles. A layer of the Aramid Fiber is laminated into the interior padding providing the best protection and lowest weight possible. 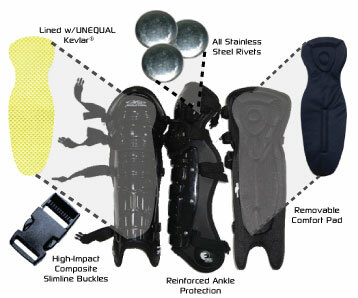 Conforming takes on a new meaning with the slim profile and optional comfort padding that provides a cushioned barrier between your leg and the shin guard. Vent holes also provide great breathability and airflow while working your game. 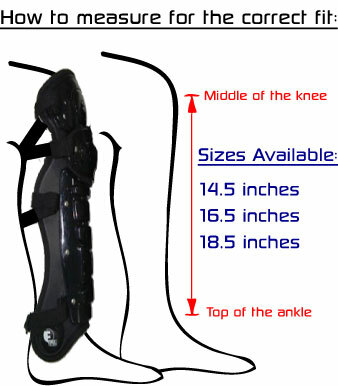 Each shin guard weighs slightly more than 1.5 pounds!!! Available in three sizes, 14.5″, 16.5″ and 18.5″.